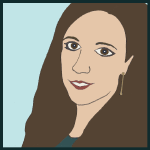 Shut the Door and Teach: Teaching Estimates: The Calculator or the Estimator? 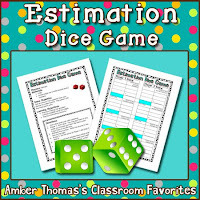 Teaching Estimates: The Calculator or the Estimator? My students seemed to forget how to estimate over the summer. Their morale was really low while taking, and also after receiving their corrected estimation pretests. I reassured them that the pretest scores won't go on the report card, but they should learn, as I did, that they have a lot to learn so we're going to have to work very hard during this unit. 1. 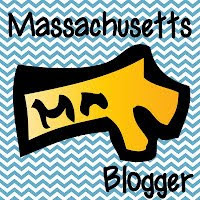 Find out how much money I would get per month if I was making a 6 figure salary. 2. How much would it cost to buy all my friends, the teachers in the school, a cup of coffee tomorrow morning? 3. If I had 6 figures in the bank and wanted to buy a house and a car, (not on credit) could I afford it? The kids made up the numbers for each scenario. Then I challenged them to find the answers faster than me. The hook: the student competing against me (name pulled at random) got to use a calculator, but I got to estimate. Well, we were interrupted due to class photos, so before the competition took place I told them, "When we get back, we'll see who's faster: The calculator...or The Estimator!" They were still calling me The Estimator for 2 hours after math! (And yes, I won, haha). I tried a new procedure for teaching rounding this year, since it was clear from their pretest that teaching them the old "High 5" trick didn't work last year. 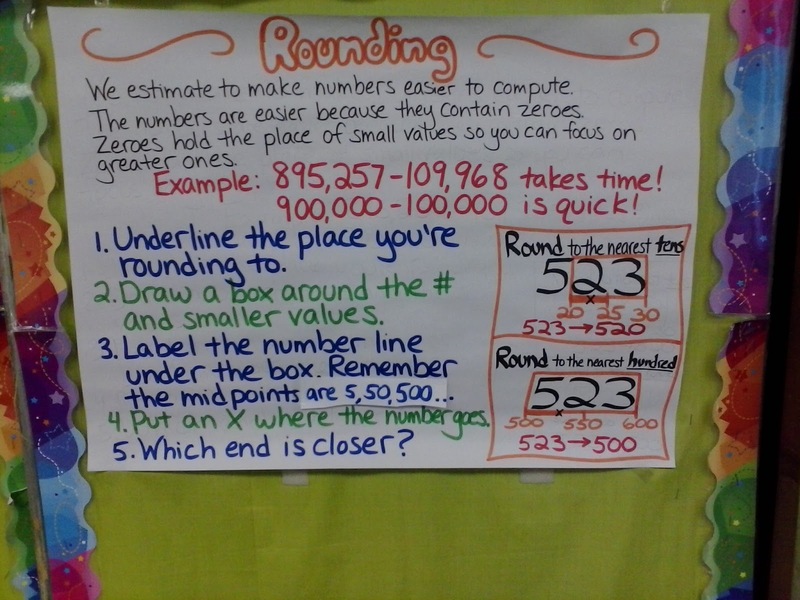 Not only did many kids think "rounding down" meant that that the number in the place they are rounding to goes down by one, but many kids forgot to change any numbers to zero. I was shocked. 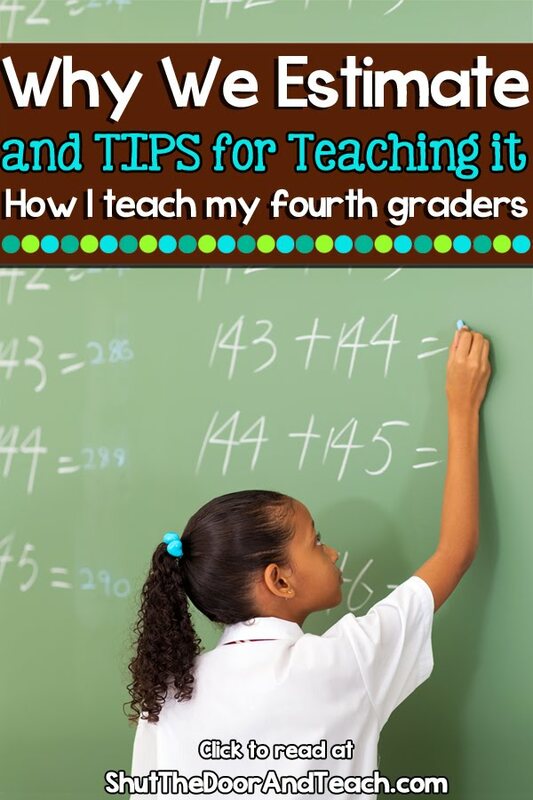 They remembered, "My teacher told us five or higher means to round up," but they did not remember how to apply that knowledge mathematically. I'll report back how it went! They remembered the numbers need to end in zero. 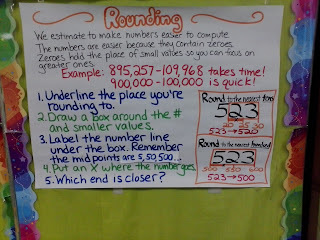 They remembered that "round down" means the number will be smaller but the number you're rounding to does not get smaller. The only thing that a couple kids forgot was the difference between, say, rounding 13,350 to the nearest hundred vs rounding it to the nearest thousand. So once they got it, we practiced, practiced, practiced. 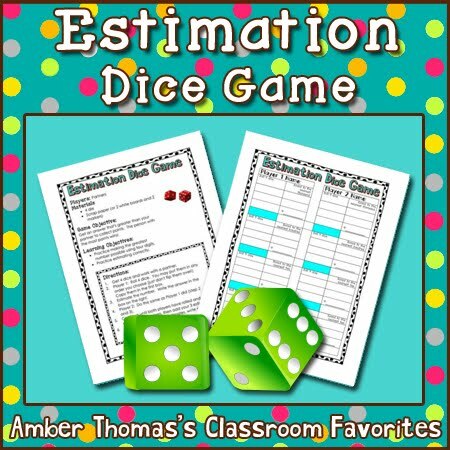 I created this estimating dice game, which is now available for you too!